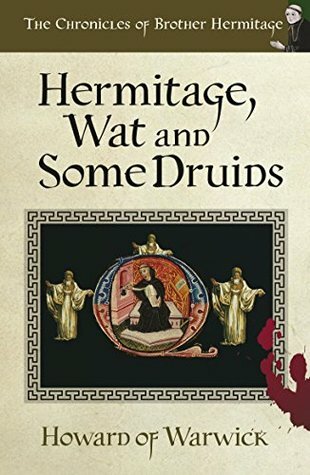 Brother Hermitage is at it again – this time with druids. When his nemesis, the Norman conqueror Le Pedvin orders him to Wales, Brother Hermitage knows it is going to go wrong. He’s had a prophecy it’s going to go wrong. And from his first steps on the road it strides firmly in that direction. Firstly, the title is a bit too derivative of the previous. Maybe is should have been call “Brother Druid” or ‘Wales and Things”. Anyway, Hermitage is off to Wales with an increasingly larger group of migrants. There is a significant part of the plot that takes place in Wales with the Druid they will meet. As usual there is a good portion of the characters doing dumb or stupid things that drives the plot along. As expected, when the two groups finally get together, chaos reigns. Howard is definitely getting better at these tales, increasing the jokes and comedy scenes. This is one of the best (so far) in the series.